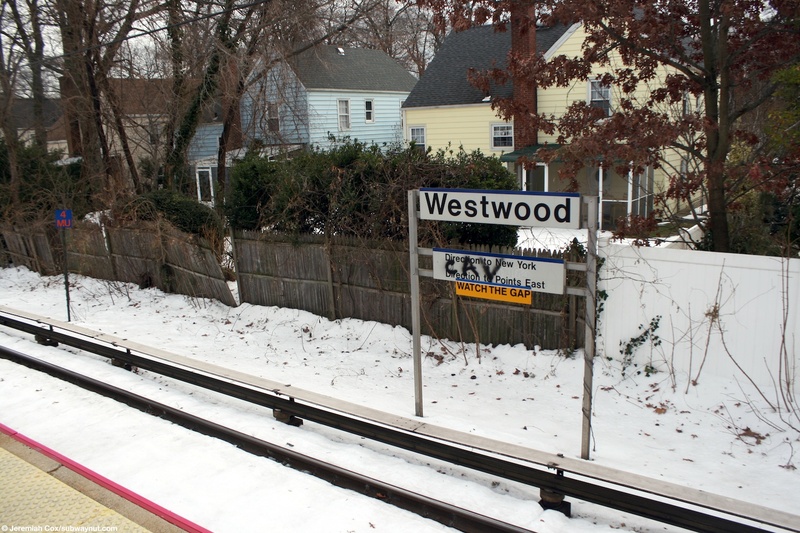 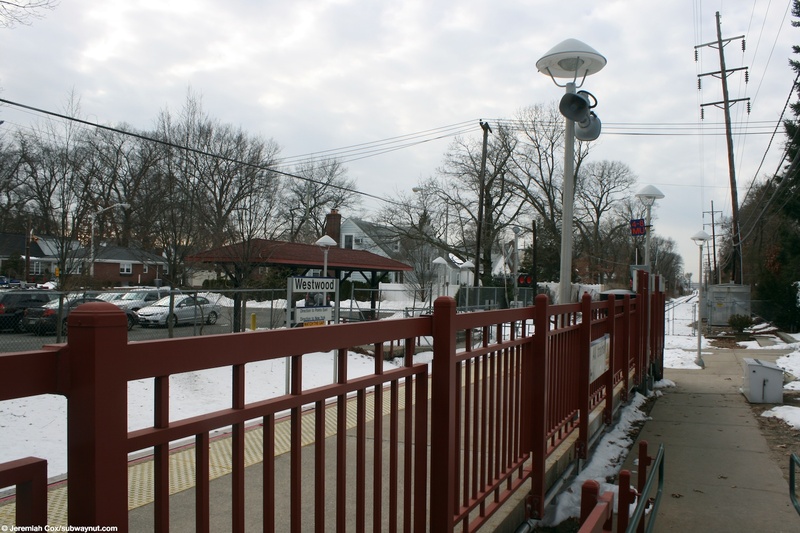 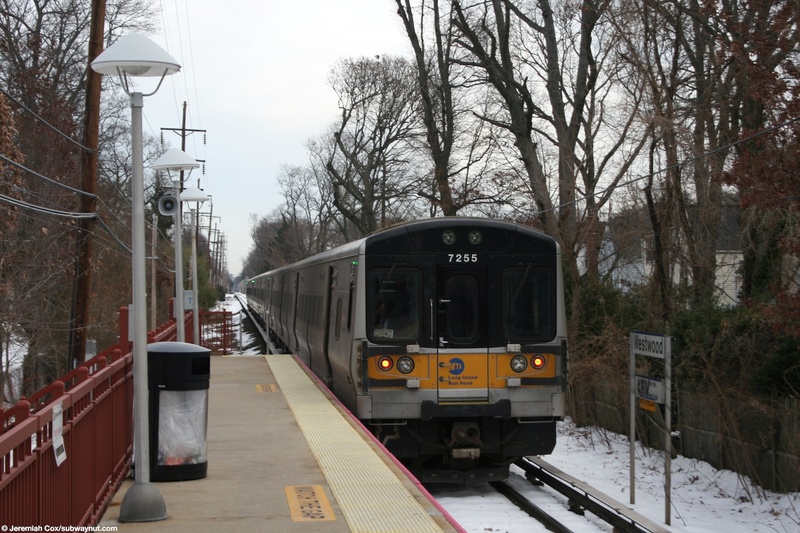 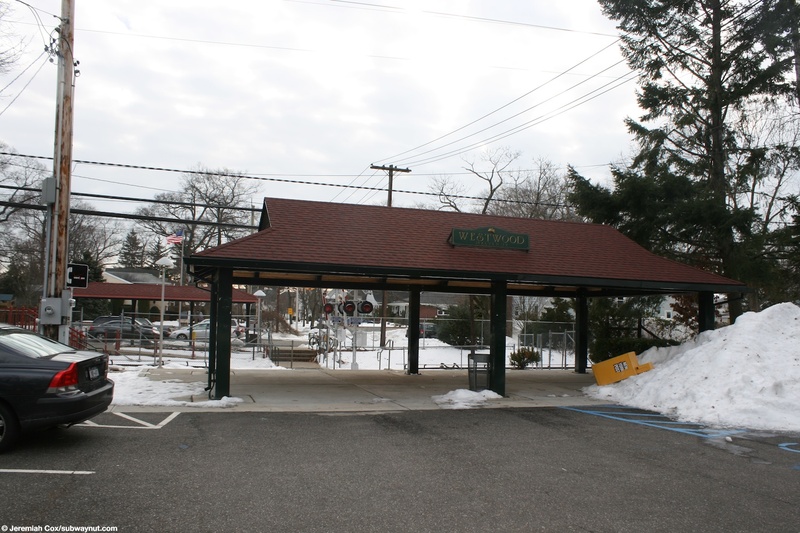 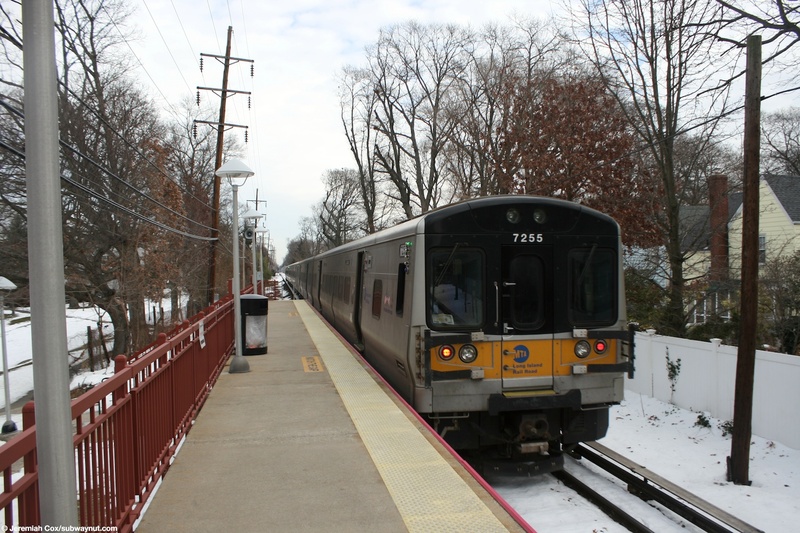 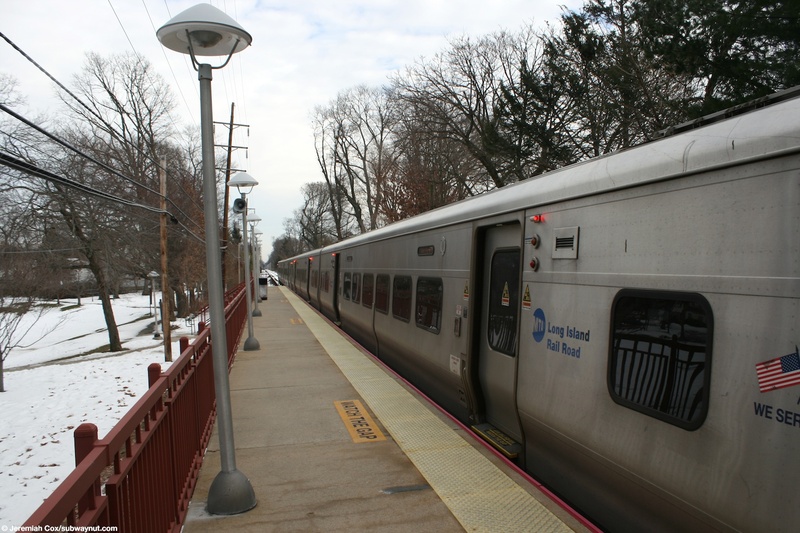 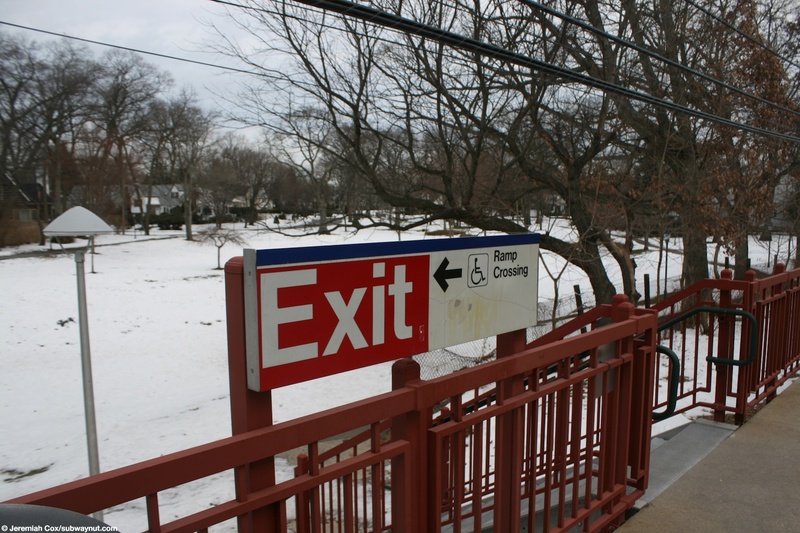 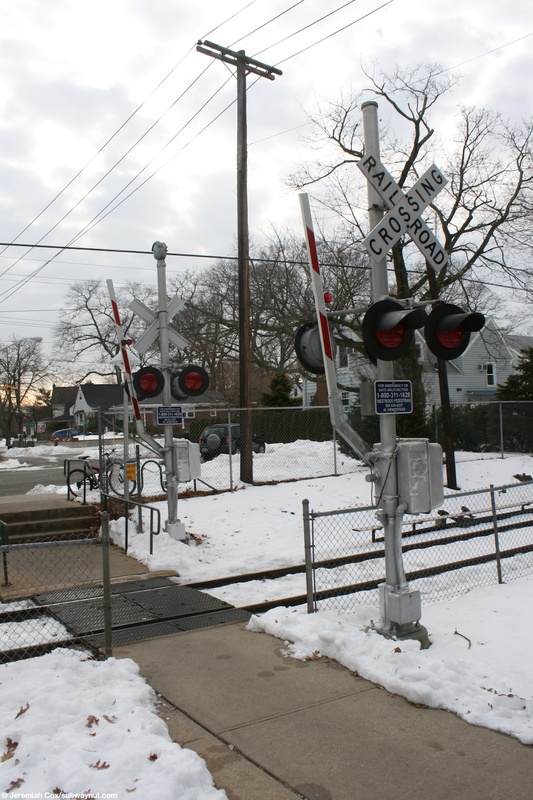 Westwood Station is the first stop on the one track electrified West Hempstead Branch after it curves off the Montauk Line and descents from that lines embankment to ground level. 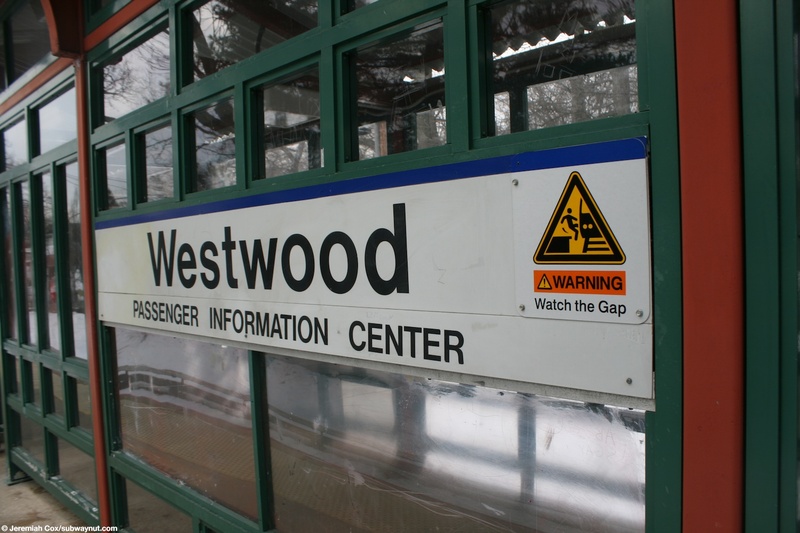 The stop has a side 4 car side platform to the northeast of the tracks,with just some Westwood signage along the other side of the tracks. 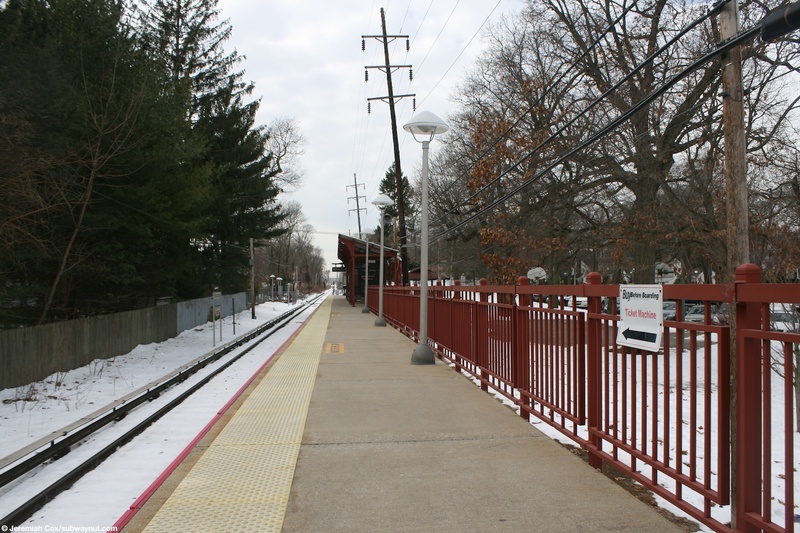 The platform is of the red fence verity, with a canopied area and newer enclosed area that is similar to most of the newer diesel high-level platform. 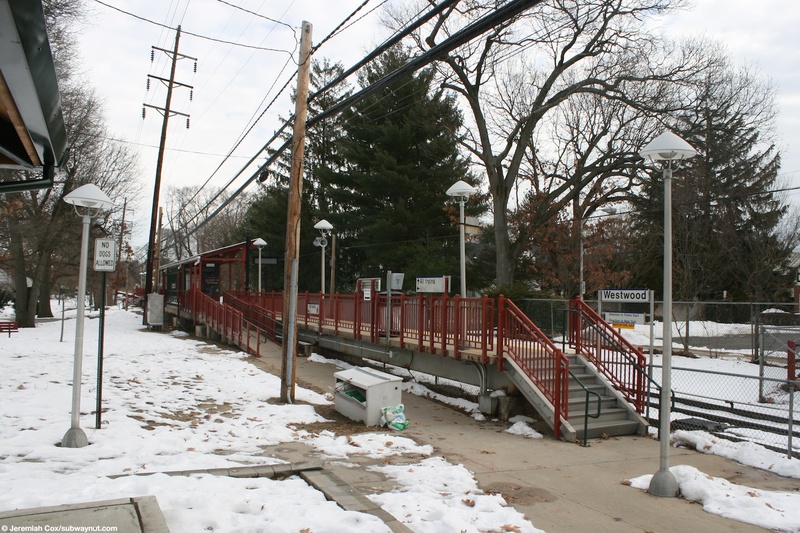 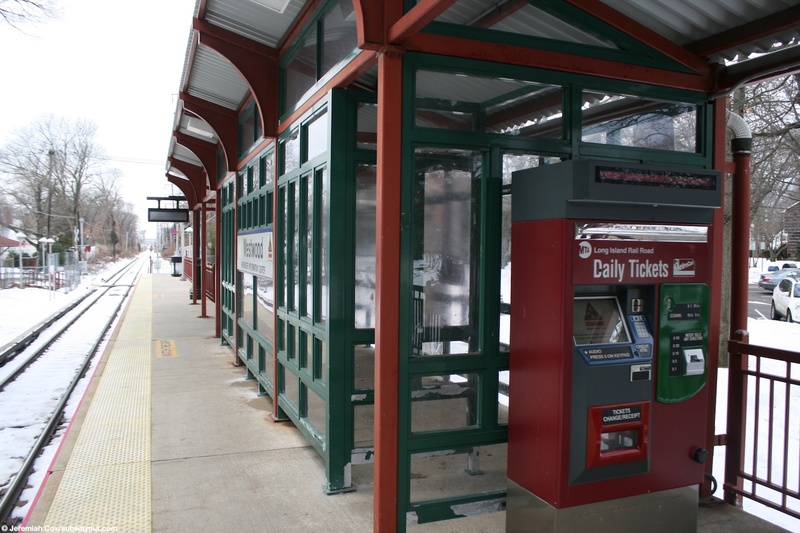 The enclosed area has a portion that is outside of it facing the tracks with a station sign and Station Information Center although there is no information beneath it. 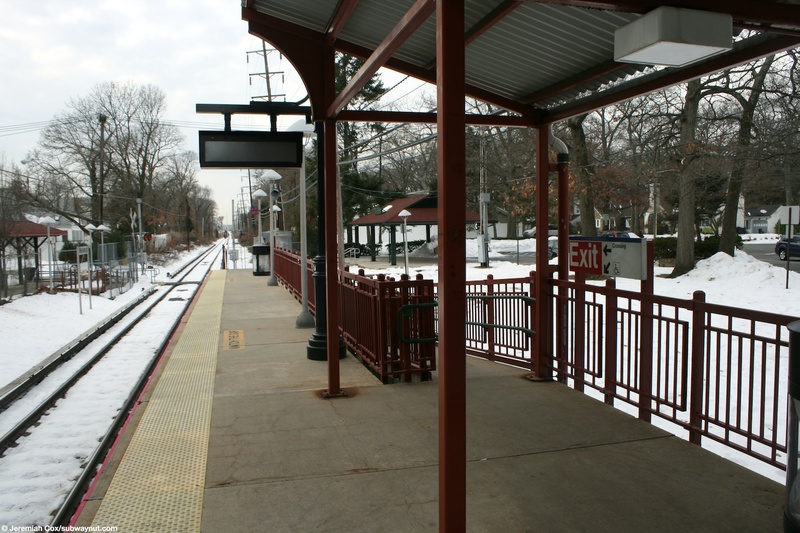 alongside is the station's TVM. 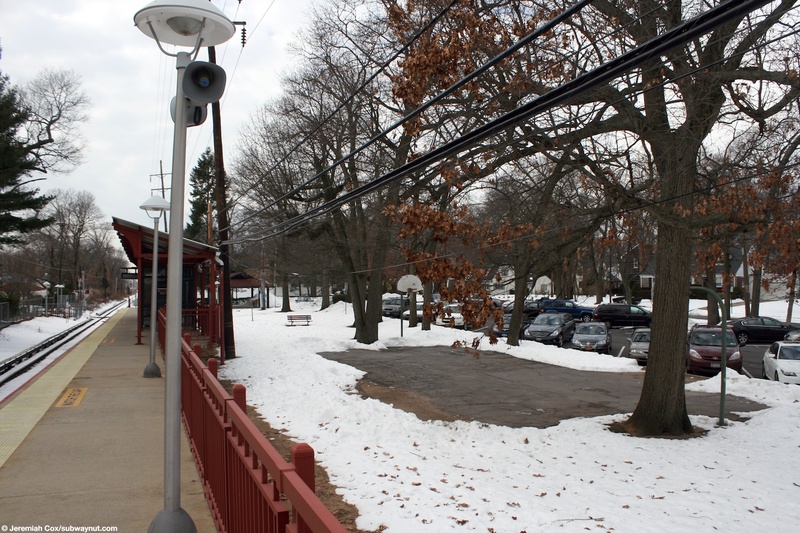 It has red fencing. 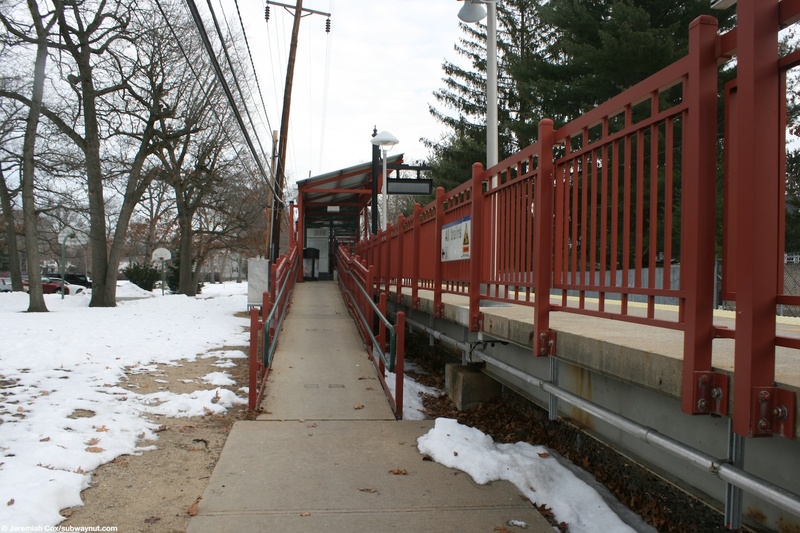 With three staircases and a wheelchair ramp to the side of the platform. 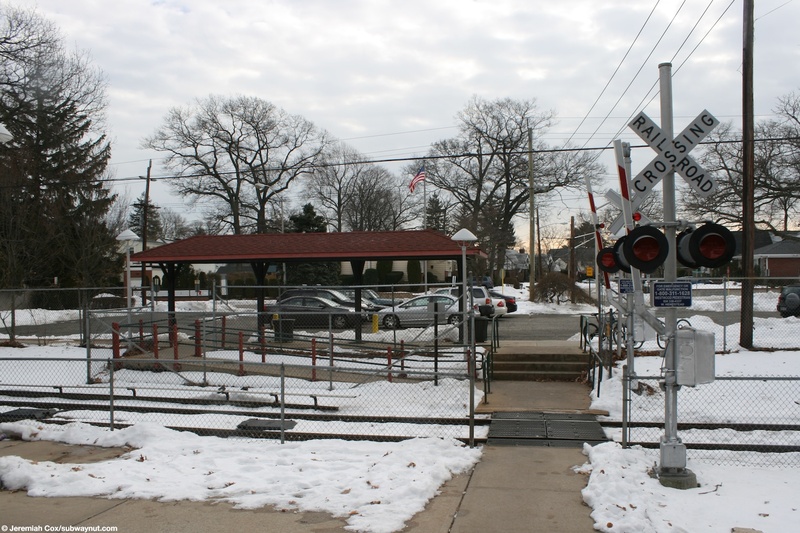 At the railroad west end of a small pedestrian only but signaled and gated grade crossing, a rarity, which is a walkway between two small parking lots that provide access to the surrounding community. 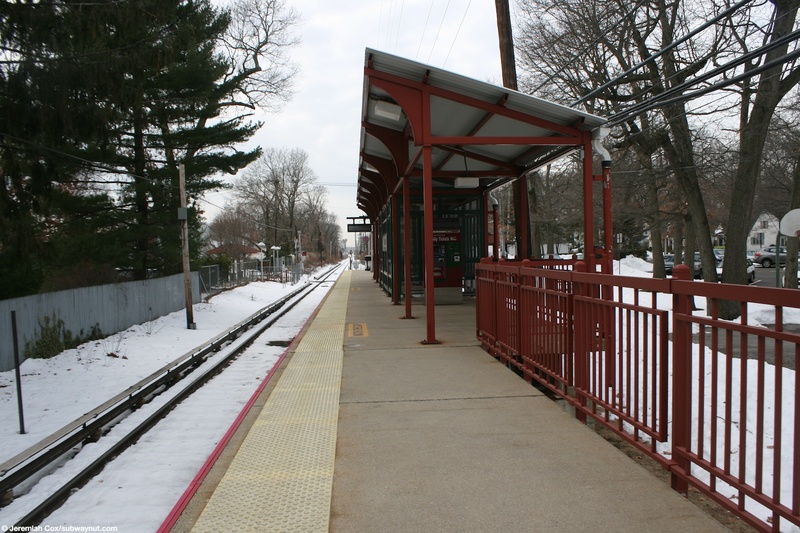 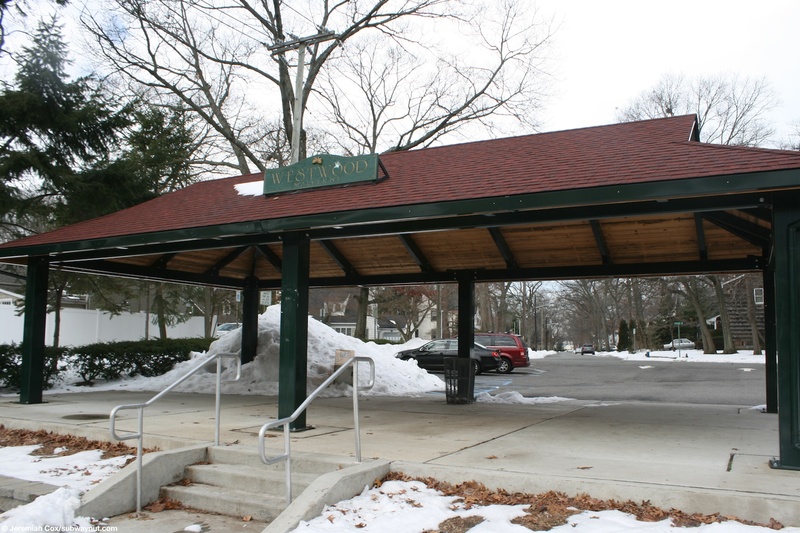 On either side of the platform along this walkway are the closest thing the station has to a station house, decent sized gable roofed canopy areas, along each of the entranceways to the tracks with little wooden Westwood-Malverne signs beneath an acorn hanging from them. 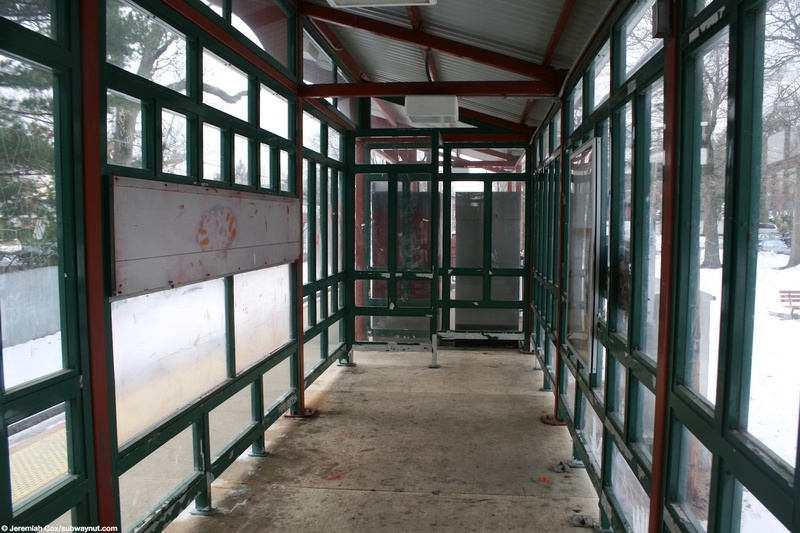 The station's oddest feature is towards the other end of the station parellel to the platform is a small basketball court with hoops. 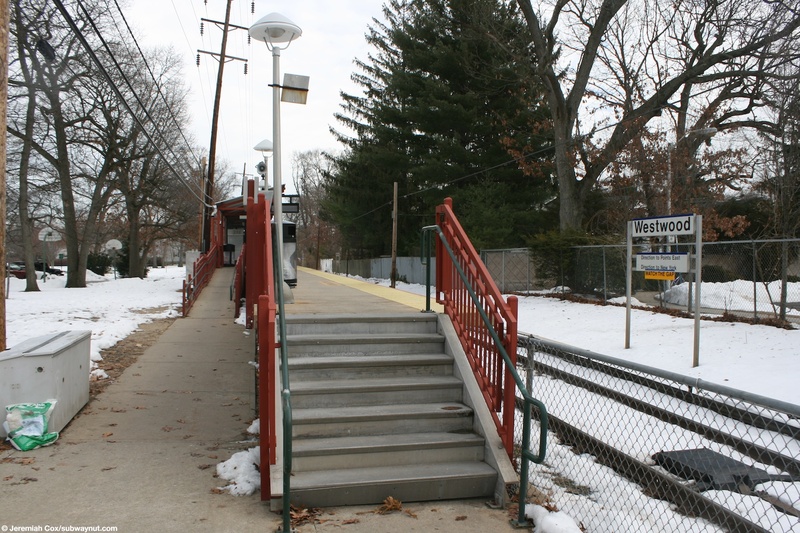 Staircase at end of platform.